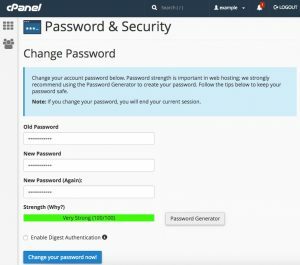 Your cPanel password can be reset from within the Members Area, or after logging into cPanel. In this guide, we will show you how to accomplish from cPanel. You will then be able to change your cPanel password by filling in the fields, and clicking the Change your password now! button. Be sure to use a very strong password. 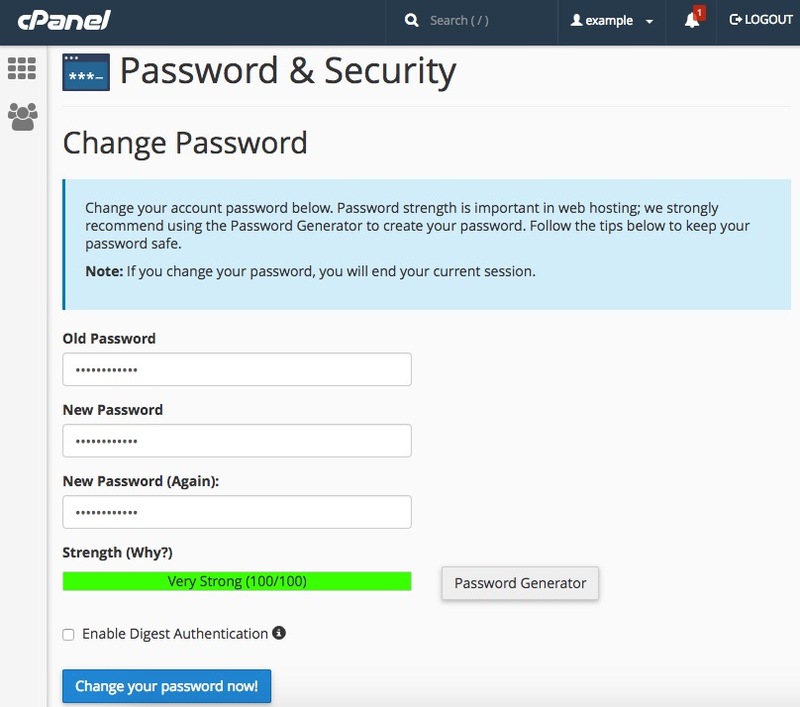 Now You should be able to log into your cPanel with your new password. If for whatever reason you have trouble resetting through Members Area, please do not hesitate to contact support with a new password reset request.